Anne Brontë, the youngest and most enigmatic of the Brontë sisters, remains a bestselling author nearly two centuries after her death. 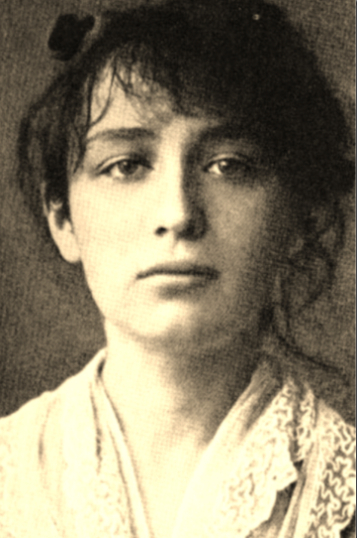 The brilliance of her two novels and her poetry belies the quiet, truthful girl who often lived in the shadow of her more outgoing sisters. Yet her writing was the most revolutionary of all the Brontës, pushing the boundaries of what was acceptable. This revealing new biography opens Anne’s most private life to a new audience, and shows the true nature of her relationship with her sister Charlotte. and In Search of Anne Brontë by Nick Holland). At night Anne listened to the sea roaring below her. Looking out of the window she could watch it crash against the rocks, throwing a white explosion of foam into the air. 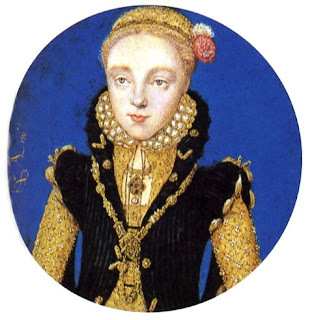 These were the nights that Anne liked best. There was something hypnotic about the sea, and the stormier and louder it was, the more she loved it. Men would come and go for millennia, as they always had, but this sea would still keep crashing against the rocks. It spoke of God's power, of hope and eternity. 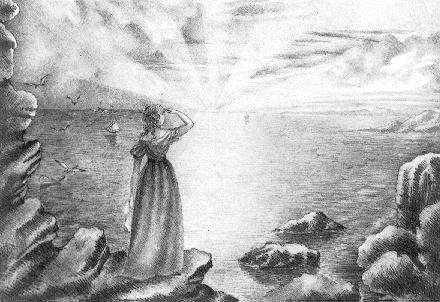 The sea would take on the same mysticism for Anne that the moors held for Emily, and she always longed to return to the coast when she was away from it, even in her very last days. (In Search of Anne Brontë by Nick Holland, pg. 140). Once in a great long while a biography comes along that just sweeps you off your feet. 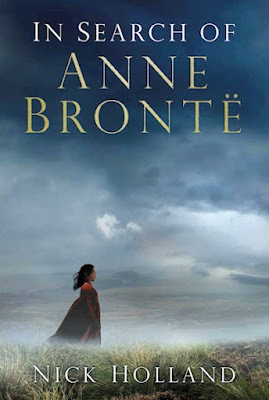 When I started reading, In Search of Anne Brontë by Nick Holland I didn't really know what to expect. I have read numerous biographies on the sisters as a whole and individually. Usually, the writing does not engage me and the subtext is dry and dull. However, author Nick Holland has done something very different in writing this biography. He has taken chapter quotations from Anne Bronte's novels, Agnes Grey and The Tenant of Wildfell Hall shedding light on her personal and professional life. Most biographers would have stopped there but Nick takes it a step further. Through older sister Charlotte Bronte's letters, a new perspective on family affairs and their struggle for publication is depicted with respect and empathy. 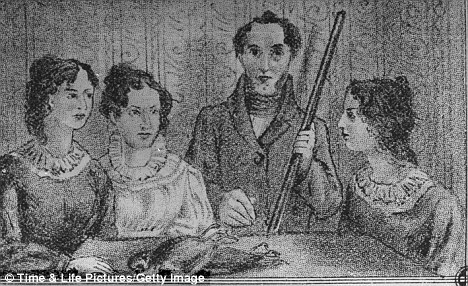 All Bronte siblings, including brother Branwell, are written about with such genuine curiousity that I found myself possibly understanding their family dynamic in a way that I have not thought about before. For instance, by including and researching the religous culture of nineteenth-century England that the Bronte's lived in, as a reader I viewed the Bronte's through a new perspective that I didn't expect. Doesn't it always come back to the moors when you think of the Bronte's? Whether you are reading about one sister or the entire family, images of that gorgeous and rough landscape spring to mind. In Search of Anne Brontë takes you to the moors that the sisters loved, to Haworth parsonage, to all the secret places the sisters loved. This biography captures the love and symbiosis between not only the well known siblings: Charlotte, Emily, Anne, and Branwell but the two older siblings: First born Maria Bronte ( 23 April 1814-6 May 1825) and second born Elizabeth Bronte (1815-1825). I just loved reading about the sibling's childhoods. Especially, upon the birth of youngest Anne Bronte. When her sister Charlotte sees an angel standing by her crib she runs to get her father, Patrick Bronte. By the time he gets to the room, Charlotte tells him the angel is gone! I have always wondered about Anne Bronte's life in Scarborough and why she was buried there. She loved being by the sea not only for its tranquility and beauty but as her health failed her 'invalids' often went to spas for their healing powers. Sadly, this didn't work for Anne but I now have a much better understanding of Anne Bronte's life. I hope you will too! I am so happy that lesser known Bronte sibling, Anne has been brought out of the shadows and into the light. Nick Holland has done an exceptional job researching and writing about Anne Bronte and her family. We think we know them well enough but we don't. I have learned so many new aspects of their lives thanks to Nick Holland and his enchanting and intelligent biography, In Search of Anne Brontë . Lastly, I love this song Scarborough Fair by Celtic Women. I kept hearing it in my head as I read the chapters about Anne Bronte's life in Scarborough. Fitting I think to end here. Thank you for your so lovely review and suggestion, this new book sounds really so interesting to me, I'm adding its title to my wish list ! I hope you enjoy the biography. Thank you for this suggestion - I will definitely add it to the "list". There does seem to be renewed interest in the Brontes this year because of Charlotte's bicentenary, so it's nice to get the story from Anne's perspective. 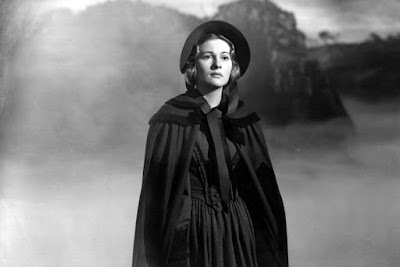 I enjoyed both The Tenant and Agnes (though not as much as my favourite, the incomparable Jane Eyre). I think The tragedy of Branwell's descent into alcoholism, and also her desire to escape from the overbearing father and his strict calvinistic strictures, and her dreams of romance/marriage come out in her works. Did she not fall in love with one of the curates? I can't remember what happened - did he die or just move on? It's nice the way you have focused on her love of Scarborough and the sea. The rendition of Scarborough Fair is really nice, brings back memories of Simon and Garfunkel!